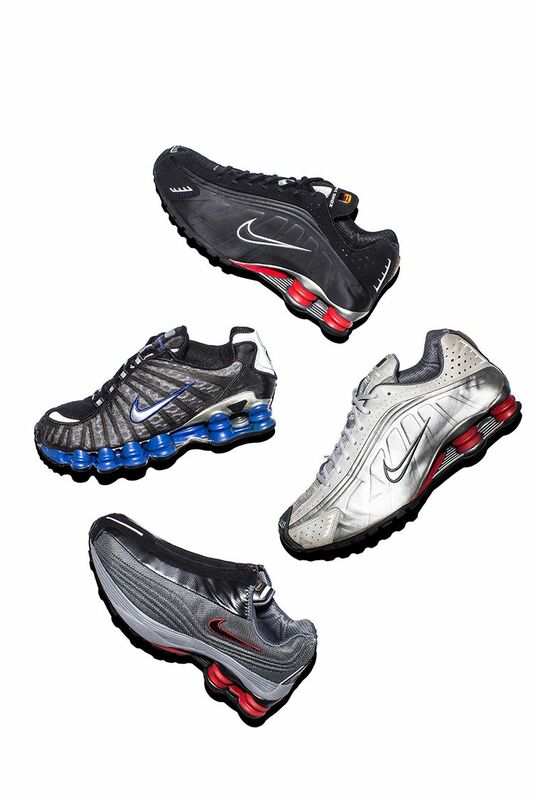 After years of development and prototyping, Nike Shox first hit the scene in 2000. 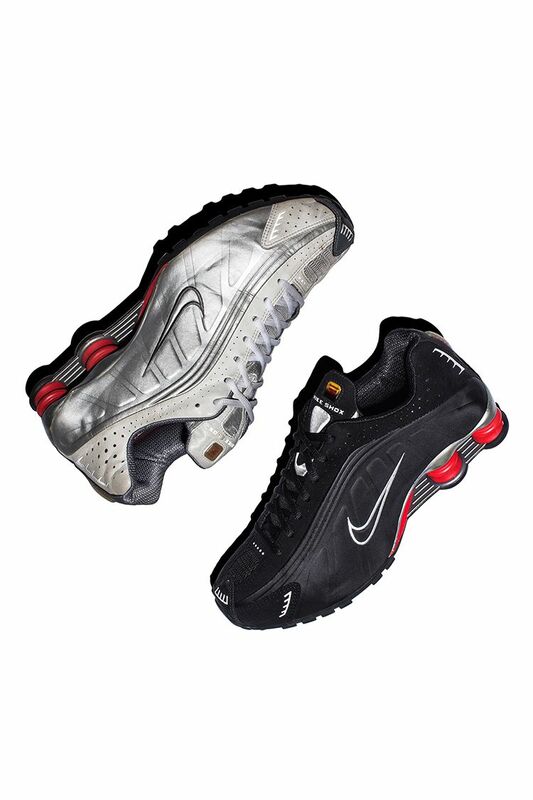 Introduced in the form of the Shox R4, the innovative pillars would first meet the tarmac as a running shoe. The Shox R4 was the first of multiple Shox running models, paving the way for several silhouettes that pushed the limits of footwear design. 2000's Shox R4 arrived in a unique, yet straightforward colourway. 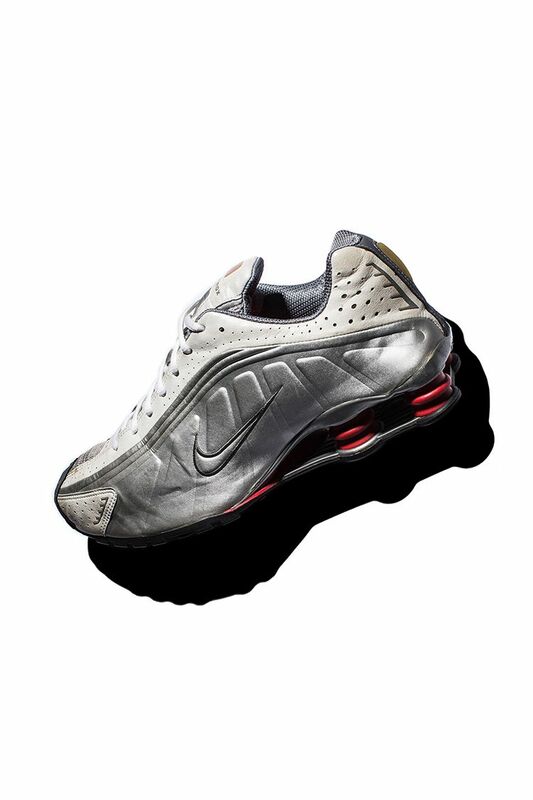 Now remembered as the one that started it all, it featured premium materials in a shining silver finish and championed the out-of-this-world Shox Pillars in a vibrant Comet Red hue. In 2001, the R4 would release in a similar black-based colourway. The R4 lineage would quickly grow, thanks to the introduction of the Shox R4+ in 2001. Unique while still traditional in design, the R4+ featured a moulded lightweight mesh upper with a zip closure. The evolved R4 design served runners an alternative aesthetic while still providing the same Shox cushioning in the heel. 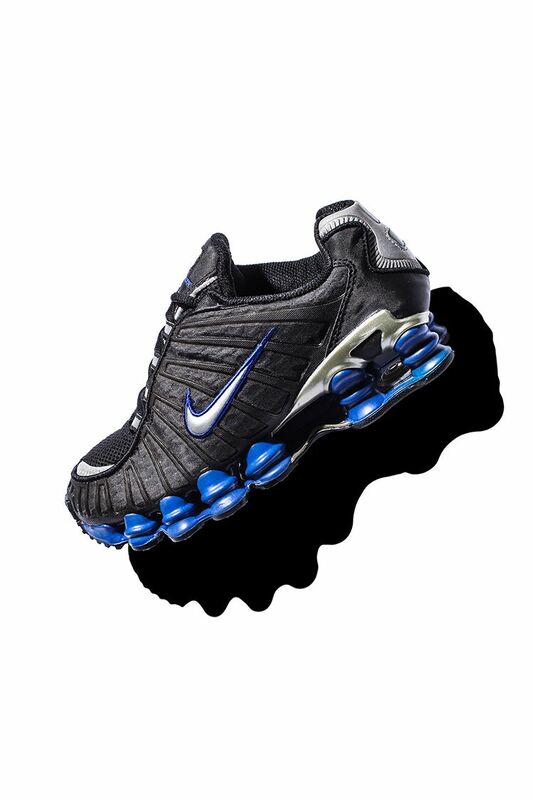 It didn't take long for Nike Shox technology to extend across the entire foot. In 2003, the idea would become a reality in the form of the Shox TL. TL for "Total", the Shox TL is still heralded by many runners for its smooth ride. Aggressive and in-your-face, the Shox TL quickly became a Shox fan favourite. 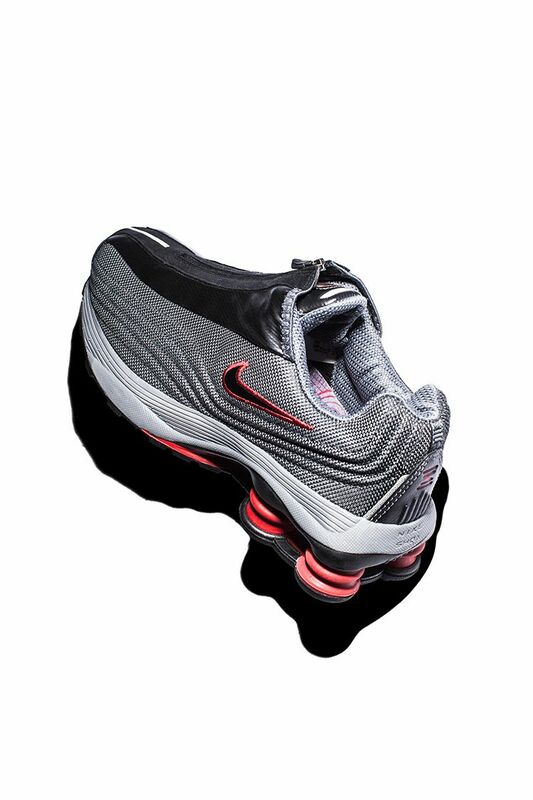 Now years later, the waves created by the early Nike Shox running lineage are still being felt in the form of new designs, like the 2014 Shox TL Mid and the 2017 Shox Gravity.